Ops Team Application Now Open! 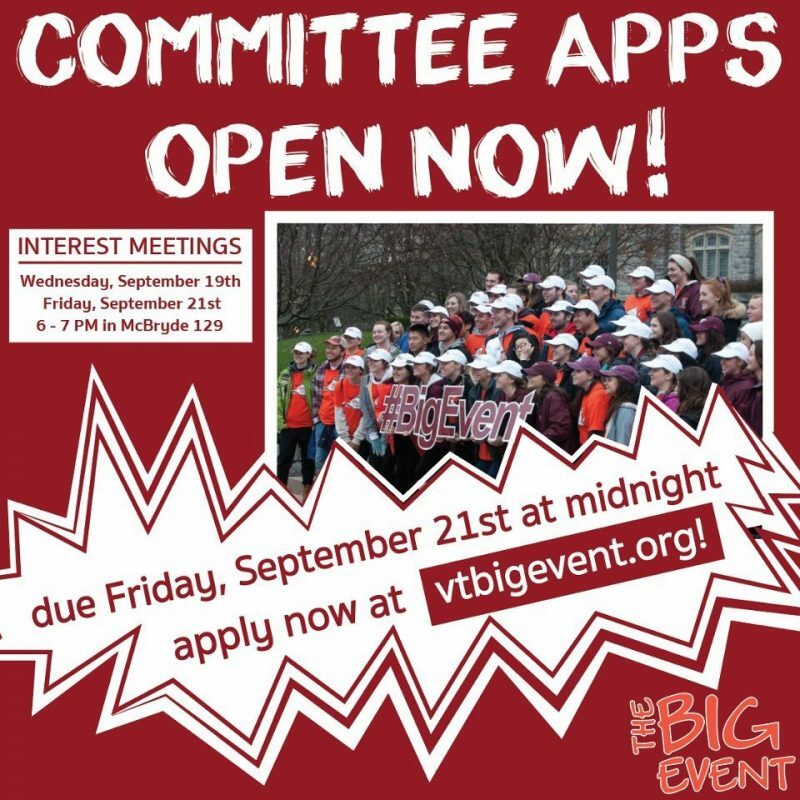 Apply today to be a part of The Big Event Operations Team for 2018-2019. We could not make this event happen without your help and we are thankful for your interest! Click here to apply. Applications are due by 11:59pm on November 2, 2018. 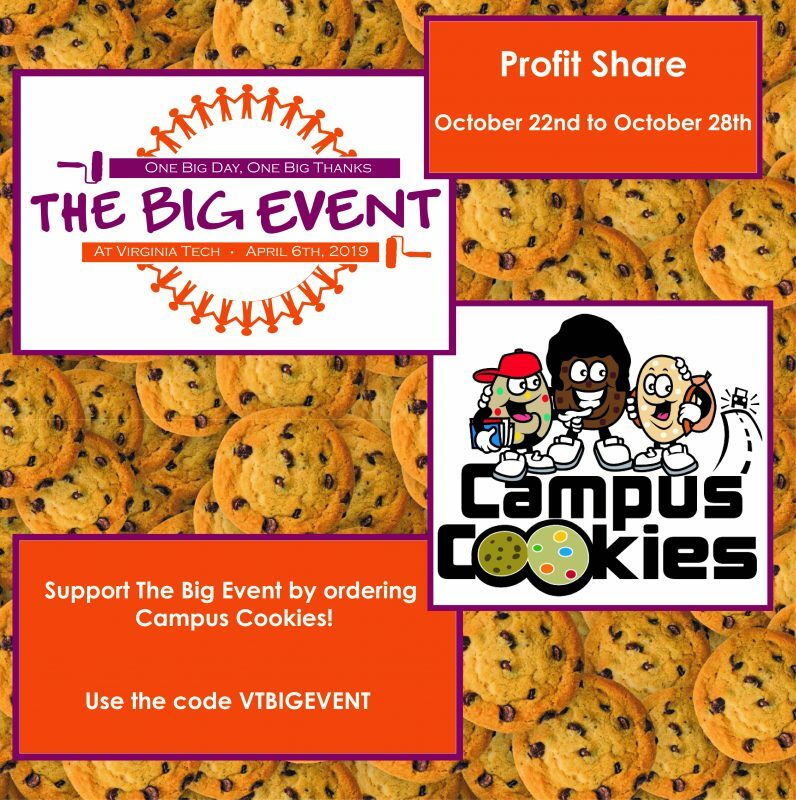 Campus Cookies Profit Share This Week!! 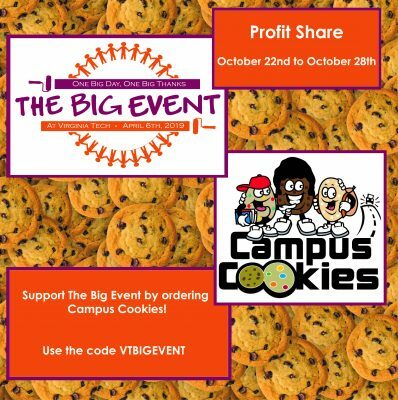 This week, The Big Event will be having a profit share with Campus Cookies. 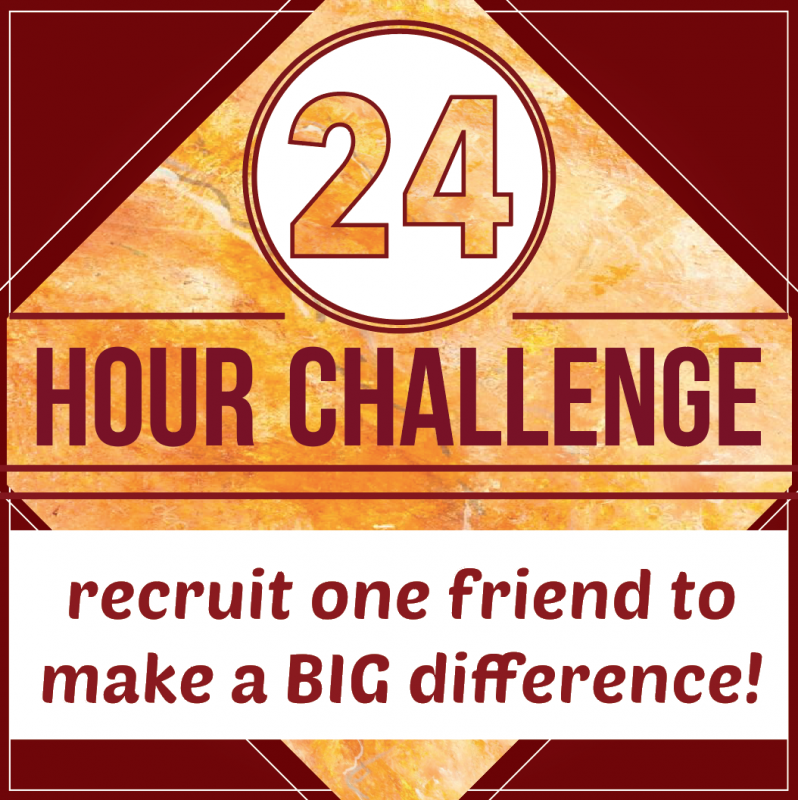 Use the code ‘VTBIGEVENT’ at checkout to help support! Profit share will last from 10/22 – 10/28. 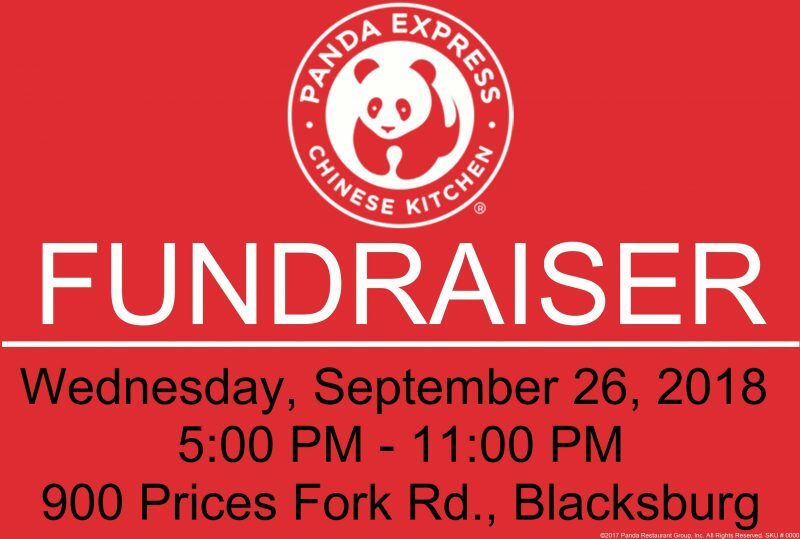 Come out to Panda Express this Wednesday from 5-11 PM to support The Big Event! 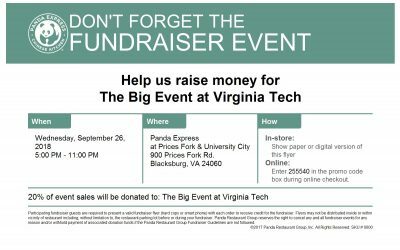 Show the flyer at the register or use our code to order online. No amount is too little in helping us give thanks to our Blacksburg and Christiansburg neighbors! If you want more details, check out the flyer below. We look forward to seeing you this Wednesday, September 26th from 5-11 PM!